The PDF file format offers a lot of flexibility. 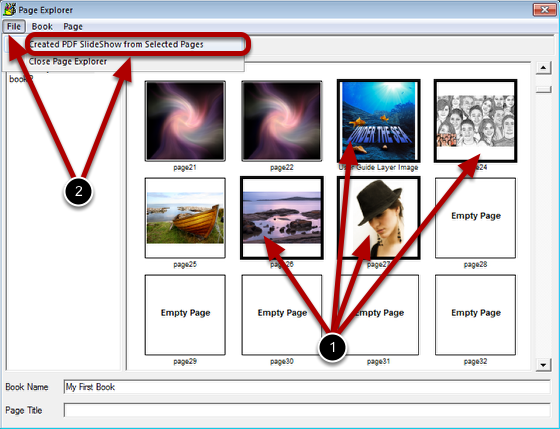 The slideshow feature in TwistedBrush Pro Studio will create a PDF slideshow from the selected pages in Page Explorer. Select the page you want for your slideshow. Select the Create PDF SlideShow from Selected Pages item of the File menu in the Page Explorer.